Complete EFT Guild Part One and EFT Guild Part Two, both two day trainings which together cover the syllabus and teach the required competencies. 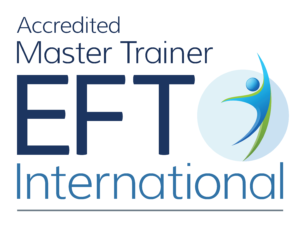 For recognition and listing as an Accredited Certified Practitioner by EFT International you then need to join EFTi, submit session notes and case studies, and take the online exam. The EFT Guild courses cover the syllabus and competencies required for accreditation with EFT International (formerly AAMET, they also contain additional material and go deeper into key concepts. EFT is a practical skill. Like learning how to swim or ride a bicycle or play the guitar. You start with some training but how you get good at it, is by doing it. There is little head learning and a great deal of hands-on knowhow that comes from practice. This training facilitates varied learning experiences through which you draw your own conclusions and learn in your own way. There are live demonstrations for real issues. And carefully designed practical exercises to get you tapping with other people right from the start. You will have lots of opportunity to ask questions and discuss what you experience. Many EFT Practitioner training courses are taught with a powerpoint full of procedures dating back to the early days of EFT. This is not the way to learn. The EFT Guild training courses have been completely rewritten to give you a naturalistic, practical experience right from the start. They are packed full of stories, metaphors and teaching tales that build one upon the other. They cover the syllabus and yet go further and deeper into the topics to give you more understanding and more ability to develop skill and capability. EFT is best learned in bite sized chunks. Our training does not overload you but builds up the techniques one at a time. Then puts those techniques together for you into a process or roadmap. It is this roadmap which differentiates EFT Guild training. We don’t just give you a bag of techniques and leave you floundering trying to work out how they fit together when faced with a real person in distress. This training is designed to help you build the skill and confidence to be a really effective EFT practitioner by starting where your client is at. Our new Part Two puts it all together and gives you a roadmap to navigate through an EFT session. Learn how to avoid potential overwhelm. How to transform limiting beliefs. How to test really thoroughly. How to set a desired future direction. This course goes further than any other EFT practitioner training in building your skill and confidence to tap with others. Many who have trained with other trainers say they have gained through repeating this course. On completion of Part One and Part Two training you can join the EFT Guild.